When I´m out photographing I meet a lot of creative people. Especially when I am out on my visits, It´s really inspiring to listen to them and see their plans and ideas. You all know that I already collect homes (my visits) and now I ´ve started to collect “good ideas” as well. I ´ve decided to show them here. One new “guest” every month: “A Dos Family Buddy” And during that month they will pop up here and there in my posts as I visit them and photograph their creative solutions for their home, their fun project with their kids or just cool ideas to borrow or be inspired by. 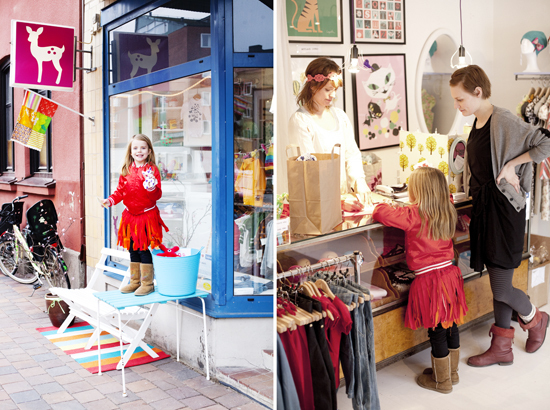 Starting today with a presentation of this months buddy, who are actually TWO buddies: Cia and Elina over at DeerDot: The two friends live in Malmö and run the shop DeerDot together.I met them as they hired me to shoot their very first own kids-clothes-line. Photos by Jenny Brandt. 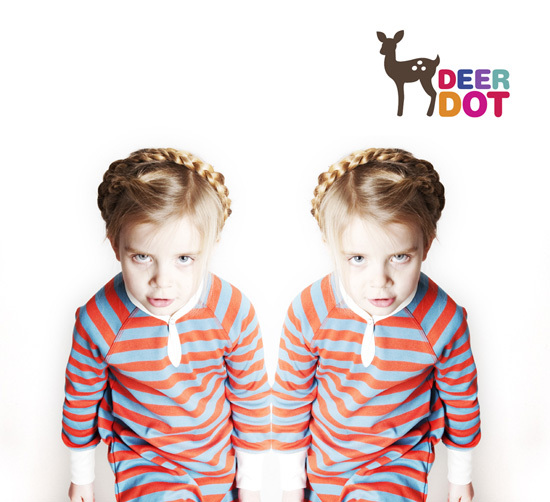 Go to DeerDots webshop here! and blog here!